Silicon piezo-resistive self-sensing cantilevers enable complete new applications in the fields of Atomic Force Microscopy (AFM), nanoprobing, torque-magnetometry, or other sensing applications such as gas dynamics and media properties. These cantilevers exhibit an integrated piezo-resistive Wheatstone bridge which directly measures the cantilever deflection electrically. This readout technique removes the space-consuming optical laser readout needed before. 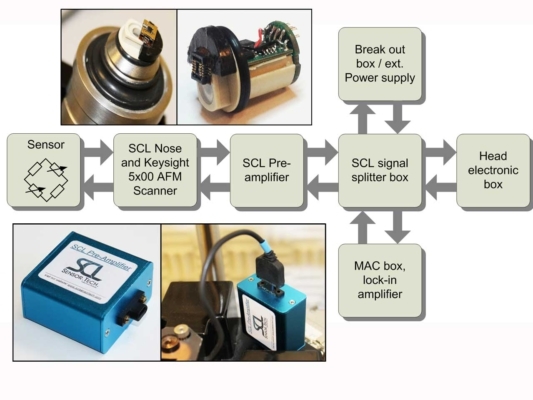 Self-sensing technology enables an easy and seamless integration with various instruments (e.g. 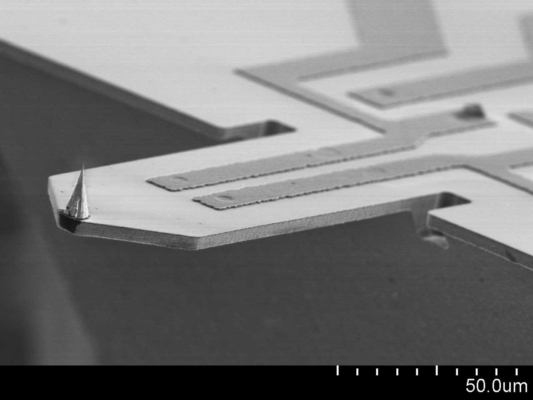 SEM, TEM, but also many other measurement systems). The cantilever chip is bonded onto a small PCB with a small connector for a quick cantilever exchange. 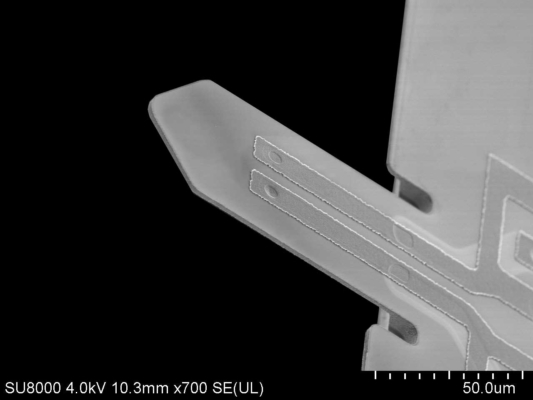 Standard SCL self-sensing cantilevers exhibit a tip with a tip radius smaller than 15 nm and are available with a variety of resonance frequencies and spring constants. Tipless and long-life SCD-tip cantilevers are available, too. 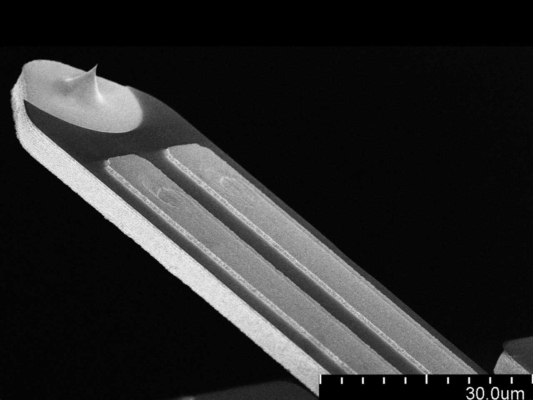 Standard self-sensing cantilevers with a sharp silicon tip for AFM microscopy, force sensing, etc. in contact or non-contact mode. Self-sensing cantilevers without tip for various applications like highly sensitive gas detection, torque magnetometry, force sensing, etc. Self-Sensing cantilevers with a hard and long-life single crystal diamond tip for AFM, high aspect ratio samples, etc. Complete kit to start with self-sensing cantilevers. 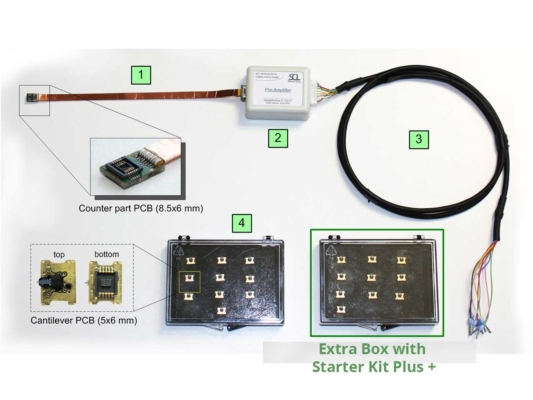 Install this kit in your experimental setup or commercial instrument to increase their functionality with self-sensing power. Add-on kit to integrate Self-sensing readout electronics and cantilevers to Keysight 5×00 AFMs. This laser-free new mode is time saving and opens new applications. 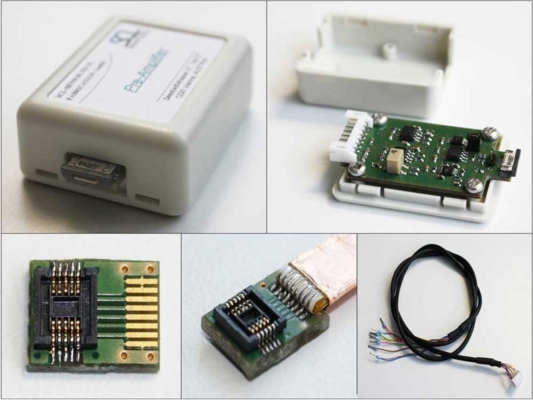 Electronics and accessory parts to connect self-sensing cantilevers and their readout sensing signals to data processing devices (e.g. AFM controller, Lock-in amplifier, etc. ).